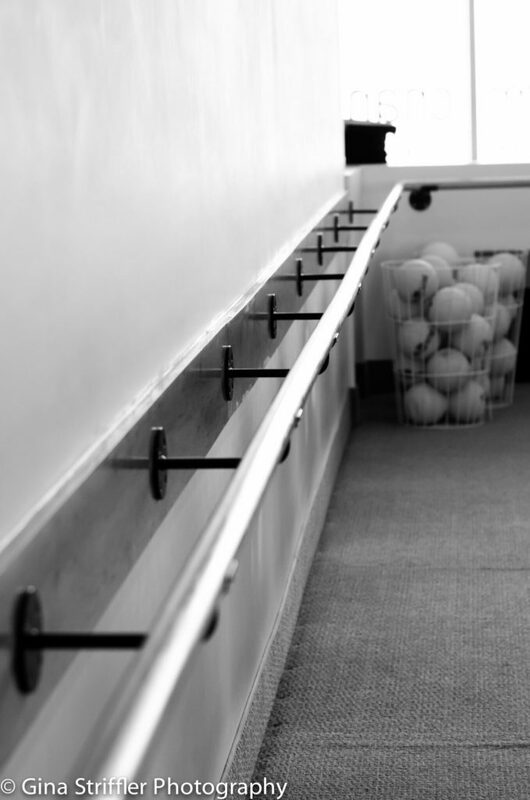 The Bar Method Bernardsville is a boutique fitness studio offering barre classes for students of all levels. The signature method uses your own body weight, the ballet barre and a few props to create a transformative workout that results in long, lean sculpted muscles. Not only does it reshape your entire body, but it allows you to channel your inner strength and leave class feeling strong, confident and poised. Highly-trained instructors customize the exercises to ensure they are safe and effective for any age and every body, including modifications for pregnant women and students with injuries. Our staff and community are here to support you from the moment you walk through the door. Gina Williams and Melissa Ramsey met over 13 years ago when they both settled in the suburbs and became friends immediately. They both loved to work out, and found themselves hooked on a Lotte Burke inspired fitness class at a local studio. It was there, where they were first introduced to the two women who were opening a Bar Method studio in Summit, NJ. Gina and Melissa went on to teach at the Summit studio when it opened in 2007. They knew almost immediately that they wanted to take their teaching to the next level and open their own studio to further spread the word of this amazing method! After teaching and taking tons of Bar Method classes (and while raising five children between them! ), Melissa and Gina opened their Bernardsville studio in January 2010. Together they have created a space that exudes a sense of community and warmth. The transformations they have seen in their clients are inspiring, and the ability to empower others is what makes them love their jobs everyday!